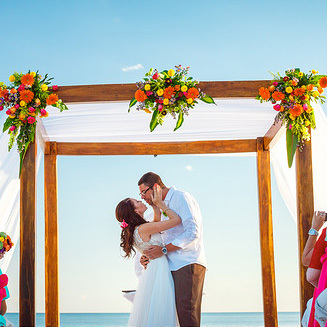 Say your vows in a beautiful destination far away. Imagine the waves lapping the shore behind you as you stare into the eyes of your beloved. You're surrounded by family and friends who have spent beautiful days together relaxing in paradise. ..and you spent a fraction of what it would cost to get married at home. 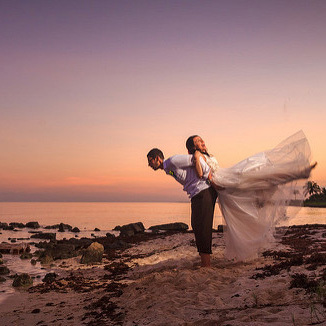 Let us guide you through the process of choosing where your lifelong memories will take shape. We have years of experience in working with resorts and know the best ones. 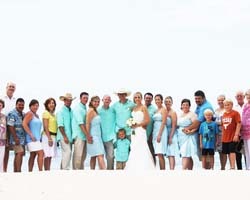 We will work with each of your guests to assure that their plans are flawless and that everyone is relaxed and happy. 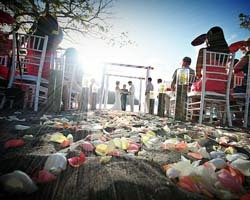 We are destination wedding experts. Let us help you with yours.